Mark your products with eye-catching labels. “new” and “sale” labels on product page, in categories and on other product listings (editable from admin panel). 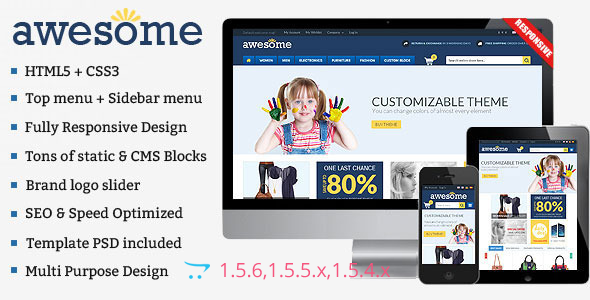 Item Reviewed: Awesome Responsive Multipurpose OpenCart Theme 9 out of 10 based on 10 ratings. 9 user reviews.